From our Wired! range this is a new twist on a classically shaped pendant. 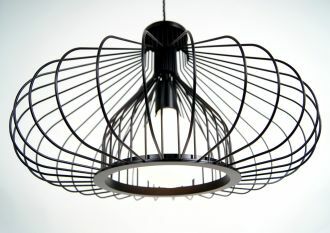 The wire pendant is hand made by our craftsmen with a larger outer frame and then a smaller inner shade. 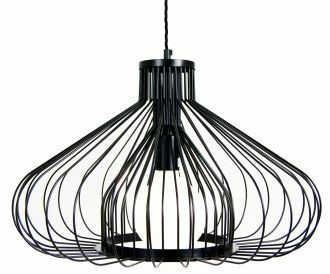 The pendant is shown in powder coat black with a matching lamp holder and braided flex, other finishes and flex options are available, please contact us for details.